Nick Williams is making a name for himself in Atlanta, and may be carving out a role in the offense moving forward. When Dan Quinn took over for the Atlanta Falcons, it was obvious that new players would step up and carve out roles for themselves. One of those players? Former undrafted free agent wide receiver Nick Williams. 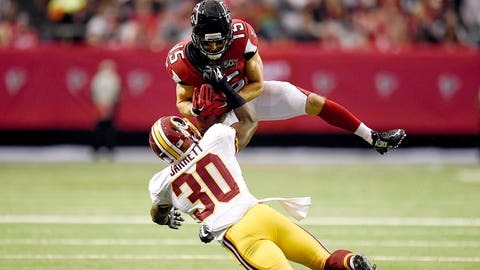 While Williams is only 24 currently, he’s getting strong reviews from coaches, specifically head coach Dan Quinn, according to Andrew Hirsh of AtlantaFalcons.com. Williams had the best game of his career on Sunday, catching three balls for 43 yards. Don’t be surprised to see him carve out an even bigger role in the offense moving forward either.